Thibaut Courtois says he has fulfilled a boyhood dream by completing a move to Real Madrid from Chelsea, having penned a six-year contract at the Santiago Bernabeu. The 26-year-old Belgium international goalkeeper has ended a seven-year stay with Chelsea to join the reigning European champions and is happy to have made a return to the Spanish capital, having spent three seasons on loan at Atletico Madrid. I have dreamt about this since I was a child. He said at an official unveiling ceremony: "Arriving at the best club in the world is a responsibility and an honour. Today I fulfil a dream. "You cannot imagine how happy I am. Those who know me know the effort I have put in to get here. "My hard work and my feelings have always been about being the best and I have the chance to fulfil a new dream. "I have dreamt about this since I was a child, admiring those who came on to the pitch to represent Real Madrid. I have been a rival and I know what it is to face Real Madrid." 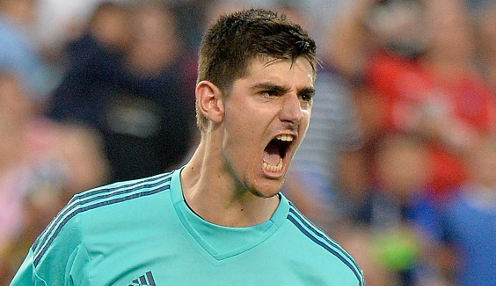 Courtois won two Premier League winners medals during his time with Chelsea, as well as helping the Blues to success in both the League Cup and the FA Cup, while his time at Atleti took in triumphs in la Liga, the Europa League, the Copa del Rey and the UEFA Super Cup. On the international stage he has won 65 caps for Belgium, helping the Red Devils to reach the semi-finals at World Cup 2018, where they were beaten 1-0 by eventual winners France. Courtois has been swiftly replaced at Stamford Bridge by Spain international Kepa Arrizabalaga, who has joined for a world record fee for a goalkeeper from Athletic Bilbao. Meanwhile, Real can be backed at 2500/1 to win La Liga next season, with Atleti priced at 500/1 and defending champions Barcelona 1/5000.